Most office chairs are ergonomic in some way – they may adjust in height or come with all the bells and whistles you could ask for. But, do you have all the gear and no idea?! Sitting in the wrong position can cause aches and pains which can lead to long term health problems! Pain can arise from slouching in your chair, prolonged or repetitive motions and muscle fatigue. The first thing you’ll need is the right ergonomic chair which adapts to your needs. It may be an obvious one, but you’d be amazed at how many people don’t have their chair at the appropriate height. Your seat should be adjusted so you’re feet are flat on the floor and your knees are even with or slightly lower than your hips. You can strain your neck if your chair is too low or may slouch if the chair is too high. I’m guilty of not adjusting my armrests, as I’m sure some of you are. But this is really important! The height should be adjusted so your shoulders are relaxed and your wrists are even with your keyboard. The width of the armrests should give you adequate space – you don’t want your arms wedged closely together but make sure you’re not stretching outwards for support. If you’ve got a sore back – this one is for you. Lumbar support helps the spine to maintain a natural inward curve and works to prevent slouching or strain in the lower back. The support should be flush against the small of the back – your ears, shoulders and pelvis should be aligned and the natural curve of the lower spine maintained. The back of the chair will have curves or inserts in the body of the backrest. The height of the backrest should be adjusted to get the correct position on each individual. Fully adjustable lumbar support will move both vertically and in depth – this adjustment is ideal if you have back problems. Alter the depth gives you flexibility if the support is too shallow or deep for your back. Pumps are used to adjust an inflatable lumbar pad in the back of the chair; this provides the desired amount of pressure to the lower back and can adjust the depth. These ergonomic features are just a select few – read our complete ergonomic guide to learn more or browse the range. Don’t worry! 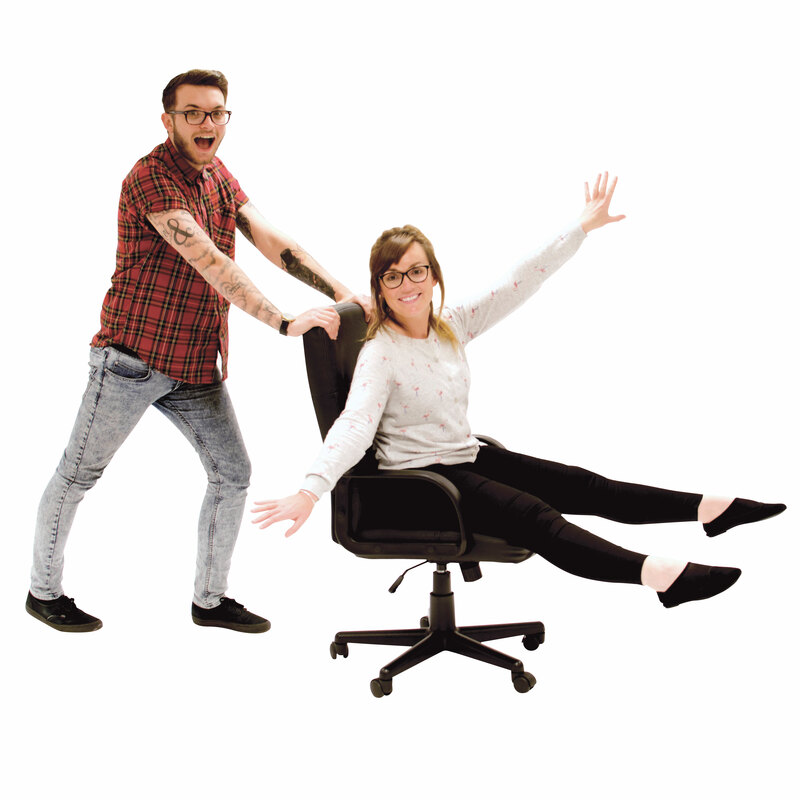 If you need any help choosing the right chair our friendly staff are here to help – you can reach us here.